From the bisexual Catman to the lady-loving bruisers, Scandal Savage and Knockout. 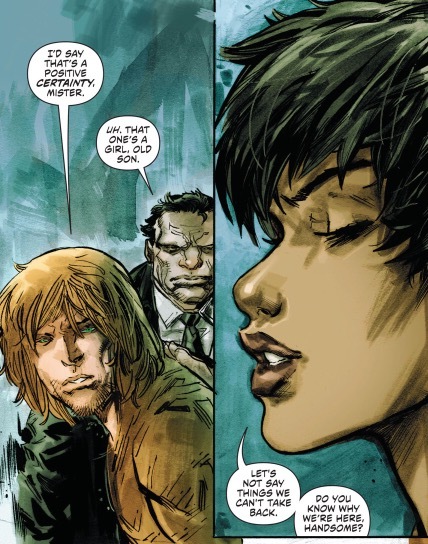 Readers familiar with Gail Simone and/or her previous run on the villain-centric DC title, Secret Six, know that she is not one to shy away from diversity in her titles. 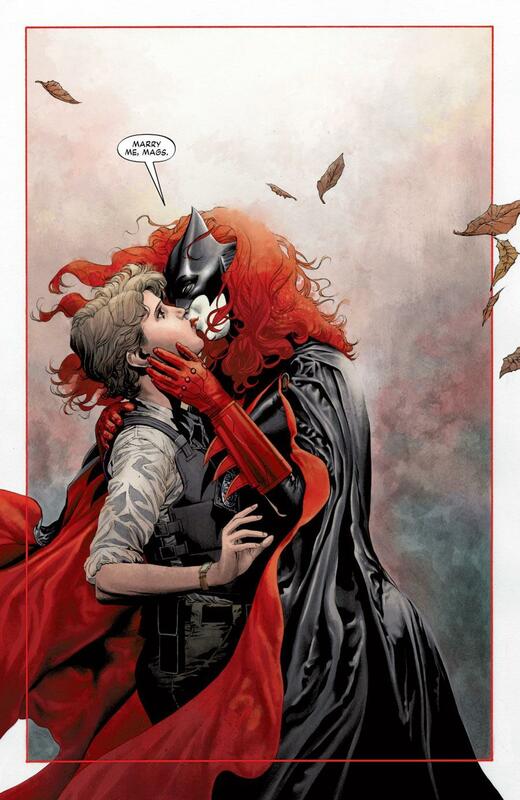 Today’s long-awaited release of the New 52 iteration of the book looks to be as inclusive as its predecessor. 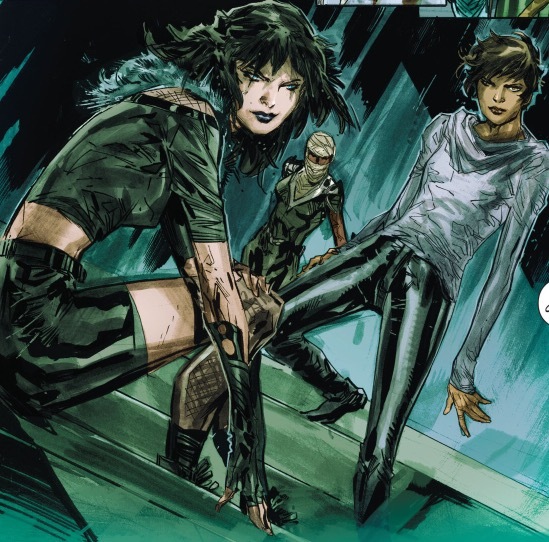 To sum up the first issue, we see a group of kidnapped villains waking up together in a windowless cell as part of some social/psychological experiment. None have any idea how they arrived in their present location or who brought them there. 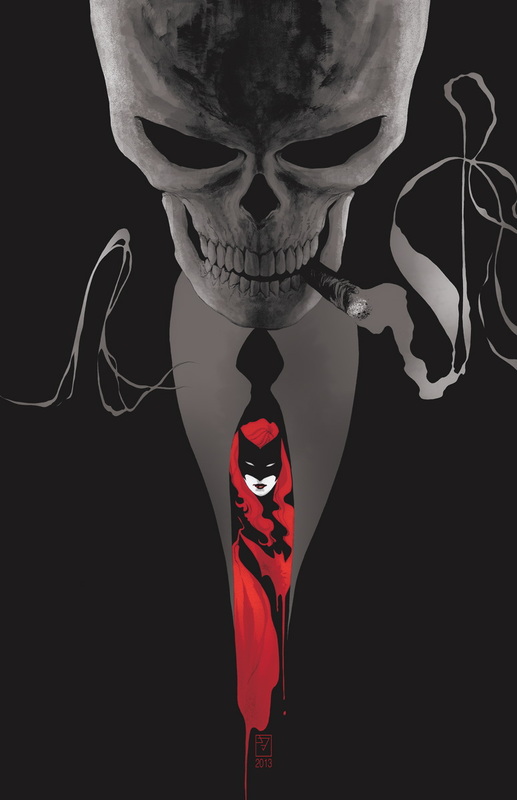 Among the deviants are familiar faces, Catman and Black Alice, as well as Batgirl’s deranged nemesis, Shauna Belzer (a.k.a. 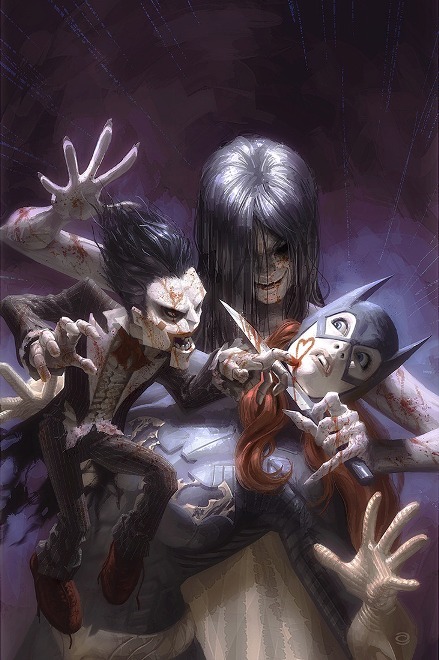 The Ventriloquist) and the Court of Owls assassin, Strix. One of the new faces in this group is Kani (a.k.a. Porcelain) a metahuman whose power manifestation causes physical matter turn brittle. Physically speaking and in comparison to the gothic bombshell, Black Alice, Porcelain comes across as androgynous. This is further perpetuated by the fact that, on the cover of the first issue, Kani bears a striking resemblance to the legendary Miss Grace Jones. 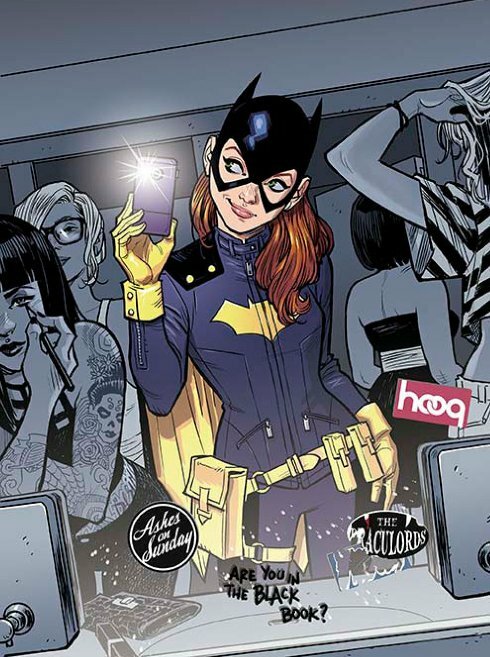 Given what we know of Gail Simone, her consistent championing of LGBT inclusiveness, and the inclusion of Alysia Yeoh, a transgender character, in the pages of Batgirl, it is not beyond reason to wonder if Porcelain could be another transgender character or, perhaps more likely, a genderqueer character. 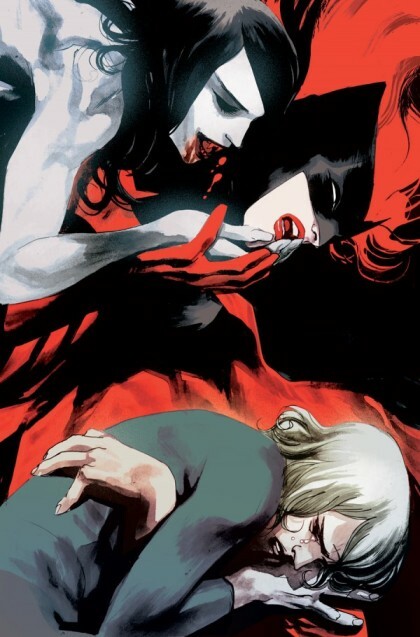 Whatever secrets and development unfold with regards to Porcelain, Secret Six will surely be chock full of character variety and fantastic storytelling. The Secret and Relatable Lives of Dorks. A film that references Jason Todd being voted to death (Batman #427-428) by readers, Superboy-Prime “punching” people back to life, and the arguably d-list Marvel Comics character, Night Nurse? Yes, my fellow dorks, such a majestic thing exists! This past weekend, Buffalo’s Amherst Theatre held a one-night-only screening of The Secret Lives of Dorks, a high school social outcast comedy penned by Western New York native, Nicholas Brandt. While some of the “dork”-related references may leap (tall buildings in a single bound… sorry, I had to) over the heads of general audience members, the common plight amongst several of the characters shouldn’t. Those awkward first moments during courtship and the nightmarish scenarios that you fear would play out during a first date are something that all of us can relate to, both teenagers and adults alike. Granted, most of us haven’t been completely mortified by farting and accidentally feeling up a date in front of his/her parents, but to say that you didn’t fear some equally debasing moment would take place would be a blatant lie. While the bulk of dating misshaps befall the teenage Payton (Gaelan Connell) and Samantha (Vanessa Marano a.k.a. Valerie Cherish’s step-daughter, Francesca), the adults are well-represented by Ms. Stewart (Jennifer Tilly) who relies on relationship advice from Mike Ditka’s self-help videos in order to woo Payton’s father and football aficionado, Bronko (Jim Belushi). The Secret Lives of Dorks is smart, well-written, lighthearted, and witty. That, coupled with the relatability factor, make the film an overall fun and enjoyable experience. The movie poster states that “dorks are in right now.” It’s true… we are. We’re everywhere… and, in a way, everyone.